The Radio Times is reporting that Doctor Who showrunner Steven Moffat will be leaving the massively successful British sci-fi series at the end of its upcoming tenth season. Moffat—who took over showrunning duties from Russell T. Davies in 2010, just in time for the fifth season of the long-running time-travel show’s current iteration—will be replaced with Broadchurch creator Chris Chibnall, an occasional Doctor Who writer and former contributor on the series’ spin-off, Torchwood. 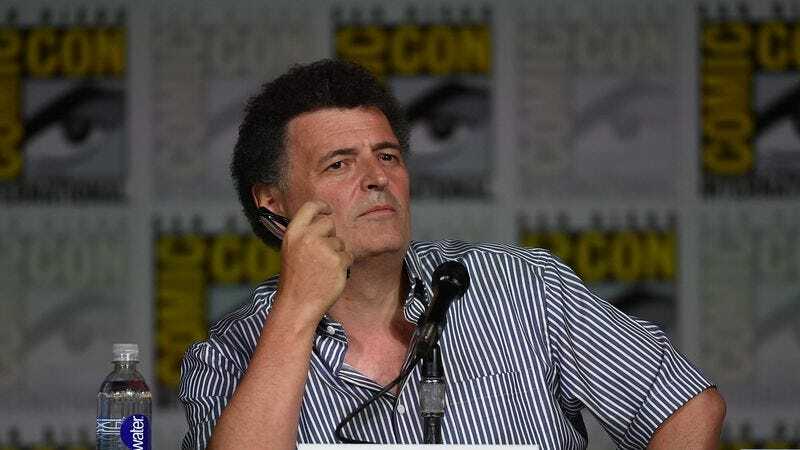 Moffat, who also created Sherlock, Jekyll, and presumably upcoming shows about very clever men and the people who praise them for all the clever things they do, has 40 episodes of the show to his credit, including now-classic episodes like “The Empty Child” and “The Girl In The Fireplace,” both of which predated (and contributed to him obtaining) his tenure as showrunner. He’s also responsible for adding a number of the new series’ most iconic and unsettling characters—the paranoia-inducing Weeping Angels, the memory-erasing Silence, the confusion-inducing River Song—to its multi-decade mythology. Moffat has a bit of time before he’s chucked in the bin alongside old biscuits, chips, and unused lorry parts, though. The BBC is taking a bit of a break from Doctor Who this year, airing only a single Christmas special in 2016. The tenth season of Doctor Who—Peter Capaldi’s third in the role of the time-jaunting extraterrestrial—will instead be held until 2017, so as to “bring the nation together for what will be a huge event for the channel,” according to future BBC1 super controller and cool-job-title-haver Charlotte Moore.